DK Windows & Doors | Adelaide's Aluminium & glazing specialists. We supply and fit a range of Aluminium doors and windows. We repair damage to both commercial and domestic windows and doors. 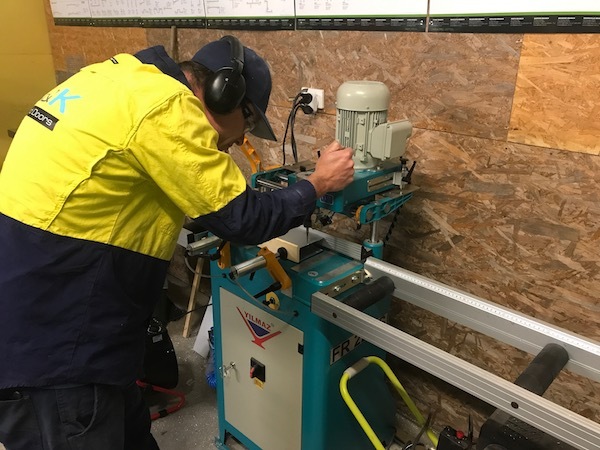 Our Aluminium window and door fames are manufactured in South Australia, we adhere to the highest quality specification and install all our products accordingly. Choose a company that demands the highest standard of materials and manufacturing techniques. Reap the rewards of quality workmanship and manufacturing. Our belief is that a great South Australian product is only half of the picture, we pride ourselves on our personalised customer service. We know each job is different and take the time to understand the individual need of every single one of our clients. See the range of services we offer for your home including domestic glazing, custom domestic manufacture, fly screens and security doors. House got broken into last week & needed someone to change the door to something more secure & solid. Dan did a great job fixing the damage. Daniel travelled to Pt Broughton to quote and install a new front window in our house, the job looks great, very happy. We offer a wide range of window & door services for commercial & domestic jobs. © 2019 D&KWindows and Doors. All rights reserved.